I used my favorite title combination here: Thickers + October Afternoon alphabet stickers + pearls for the "i"s.
Most of these items came from a Studio Calico kit, but I can't for the life of me remember which. Maybe I'm getting old. The pin is from Maggie Holmes' Crate Paper line! And there you have it! I've spent a lot of time in the scraproom these past two weeks. I caught up on maybe two months of Project Life (I've been doing it and loving it, but not sharing--I think that part would throw me over the edge!) and created one of my favorite layouts of all time. Can't wait to share it with you in the next few weeks. 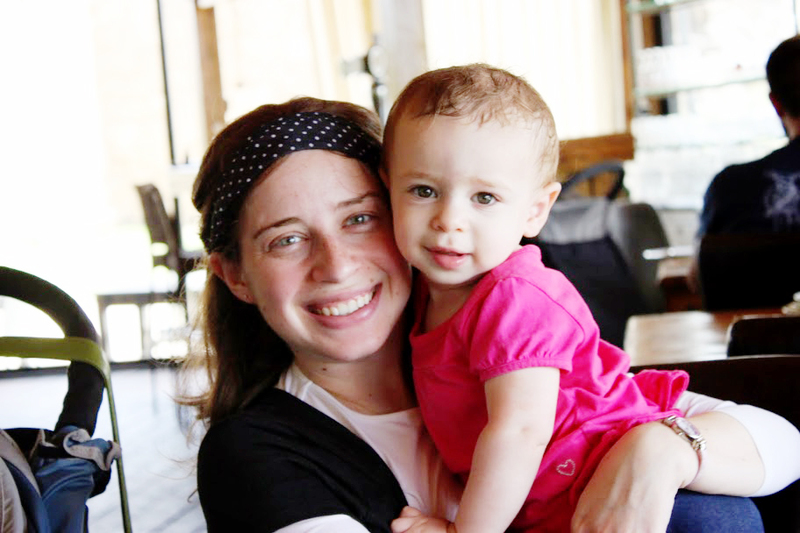 I have a few more photos from our Israel trip to share! Here are bits and pieces of our time there--it already feels like too long ago. E fell in love with the two shekel rides in the mall--it was so cute to watch! We also REALLY got used to being able to buy kosher snacks and drinks in the malls--I'm missing that here in America! We tried to take a few family shots, but with one uncooperative subject! 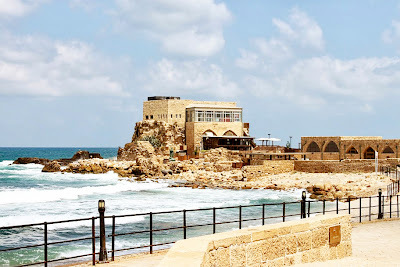 One day, we went to Yaffo (Old Jaffa), which is a really cool port town near Tel Aviv. There's a fun artsy district near Jaffa, which hosted this cute coffee shop with the mismatched furniture. The Old City of Jaffa is beautiful--artsy and quirky and interesting. 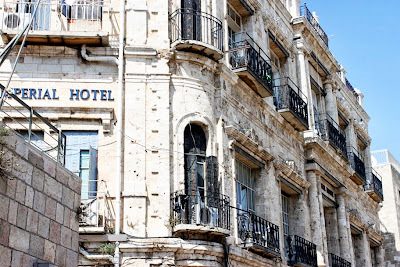 The history of this area is really cool--everything from Roman ruins to Ottoman architecture, all mixed in together. More to come in my next (and final) Israel post! 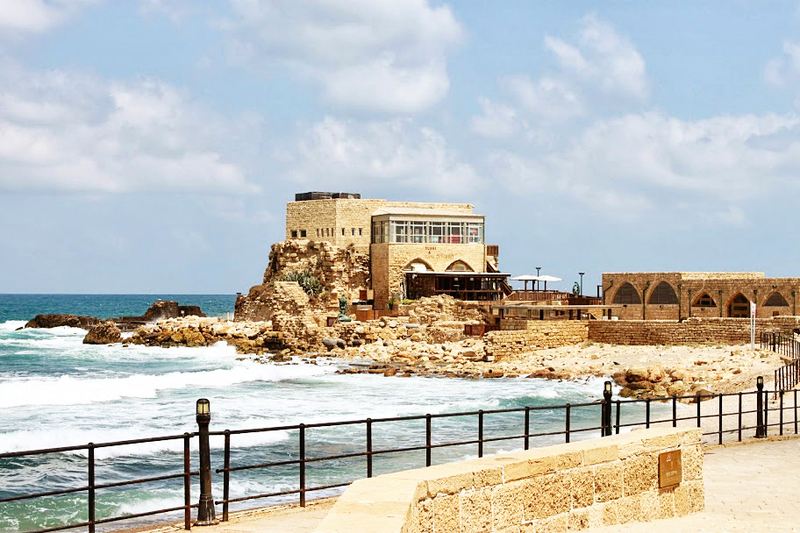 Do YOU have any questions about Israel? Let me know and I'll try to get to them in my next post! First things first....I have the winner for the BPC class! Congratulations, Heather! Email me at keshet.starr@gmail.com for your class code! I've been meaning to do a pregnancy update for a while, so here we are! Thankfully, no more morning sickness, although it stuck around until 17 weeks or so. Feeling VERY tired, but otherwise good. Er, not sure how I feel about this question:) I kid. I think I'm about 10 pounds up so far. This one has been a bit tricky. I have the same restless leg thing I had when I was pregnant with Ellie, and that can keep me up some nights. But after reading a lot of suggestions online, I've started eating a banana every night before bed and it's helped so much! Yes, especially when I wake up in the morning! Baby has been more quiet the past day or two and I'm freaking out a little bit, so hoping it picks up today! We know, but we're keeping it a secret! We found out via a tiny gender reveal cake for just us:) Can't wait to share the photos of it once little Peanut has arrived! Nothing yet, but I've been heavily researching double strollers and baby carriers. If anyone has advice on those topics, I'll gladly take it! 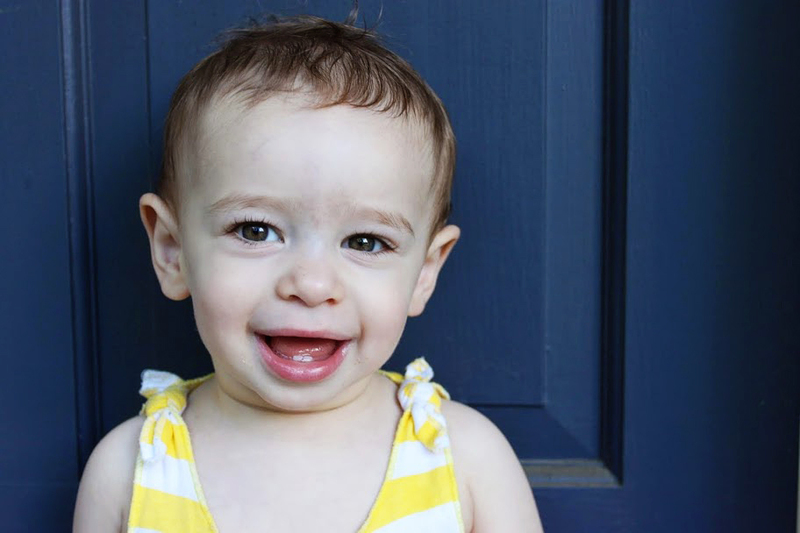 And because I think this post needs another picture, here's a recent shot of my firstborn baby! 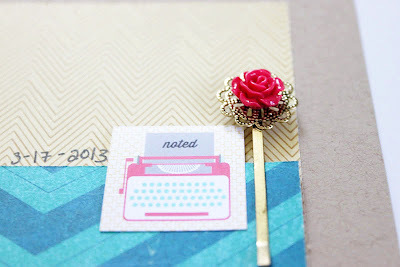 Welcome to the blog, in it's new form! I was ready for a change in my design, something new and fresh (like a new school year!) I worked with Erika from The Fairy Blogmother and highly recommend her! I also have a fun giveaway ready for today! 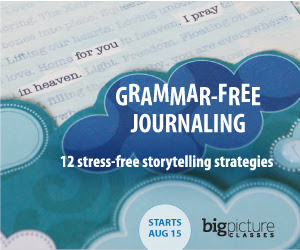 The wonderful Angie Lucas is doing a 4-week writing workshop called Grammar Free Journaling through BigPictureClasses and one of you can win a seat! To enter, leave a comment on this post by Sunday, August 18th. And even if you're not the winner, use the coupon code WRITERIGHT to save $5 on the glass! This code is open to everyone and can be used until August 21, 2013. Enter the giveaway below--and I'll be back soon to share more! I am in love with the Old City in Jerusalem. It's such a funny mix of ancient and modern, different faiths, etc. I was so happy to visit and can't wait to show you a little bit of it. The Old City is filled with lots of winding roads and alleyways. We walked through old gates and archways on our way to the Kotel, the Western Wall. 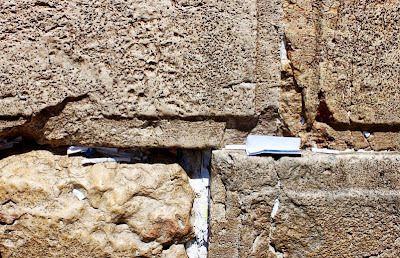 The Kotel is the holiest place in the world in Judaism, the site of the Temple that was destroyed thousands of years ago. When we went to the Kotel for the first time this trip, it was just a few hours before the beginning of Tisha B'Av, where we mourn the loss of the Temple. Being at its site was beautiful. 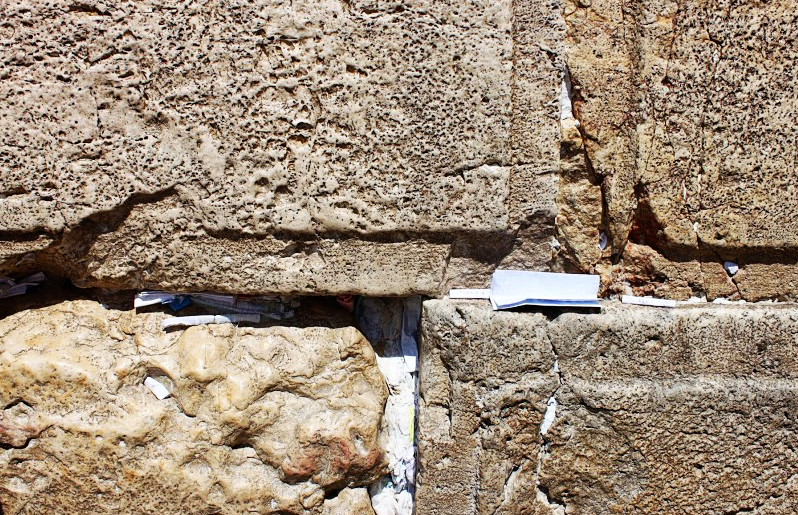 There's a custom to put notes in the Kotel with your prayers on them, and the crevices of the stones are packed with bits of paper. So there's a little peek at the Old City and Western Wall!